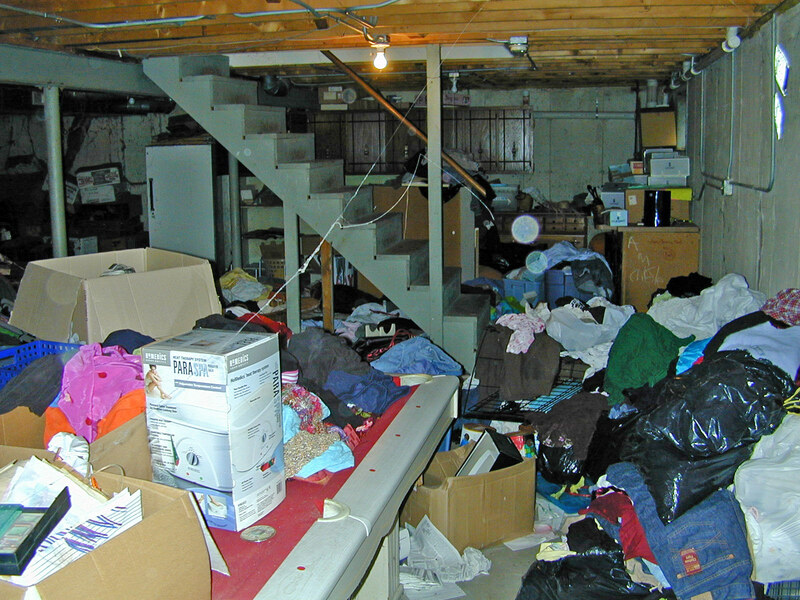 Recently it has become a priority of mine to clean out the basement of our home. Though the basement may not meet any of my productive expectations now, its primary goal will be a functional place for my business and storage for items not needed upstairs. Our basement is currently full of pictures, memories, cards, mementos, letters, etc. and it’s pretty tasking to go through them. This is not our basement, this is just a stock photo from the internet. We joined two previous living spaces when we got engaged, so this picture is similar (thankfully our basement is not this stacked up). We didn’t give any thought to going through it, just knew the job would end up on a “to-do” list at some point when we couldn’t walk through it anymore without bumping knees or lifting boxes to get to something. However, I have boxes and bins of previous paperwork, photo albums, letters, cards, school awards, recognition, and fun times of my life captured on film. Since I am the AVON rep, I have made it a priority to make a space that doesn’t interfere with our everyday living, and use the basement productively. And because I have a busy schedule (see previous posts), I have mandated for myself that the basement be clean by Christmas. I have put dates on the calendar when I wanted to allocate time for the basement, and I can’t tell you how many times over this past summer that those dates would get crossed off, and something else would take its place. 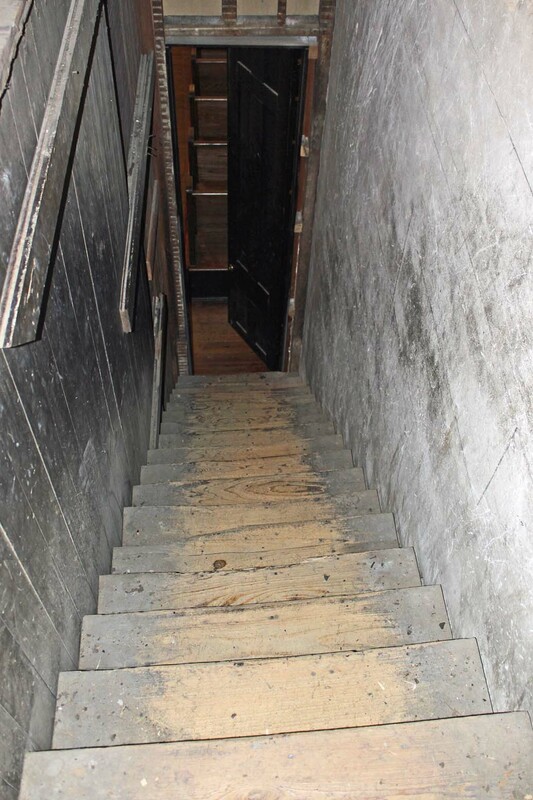 Looking down into the basement would bring moments of anxiety, and a realization that grabbing a bag to throw things away would be the last thing I wanted to do. I knew I wouldn’t have enough time! But as I said, I did start the process, amid my hesitation. What I discovered were some very wonderful treasures! A few things from my past forgotten: some old manuscripts from my early writing days, a 100% research paper graded by Mr. King from Lutheran West High School when I was a sophomore, old school papers and printed jokes in the grade school newspaper. I laughed and set them aside for the KEEP pile. I found some medical coding materials, practice tests, old books I had bought online to study, and old audits from my first coding job. Those items too made the KEEP pile. The black garbage bag next to me was beginning to get lonely, and I knew I had to start being more critical about what I’m keeping and what I’m getting rid of. I sifted through old bills when I had my apartment, and all of my credit counseling paperwork when I got myself into debt. I found a few old cell phones, candles, notepads and office supplies. I also found the box that contained EVERYTHING from my previous wedding/marriage. Unsure if I wanted to begin the process, I made a spot on the carpeting and took off the lid. Inside were the wedding glasses we clinked, the attendance book, the signed cards and well wishes, the list of guests, pictures and confirmation slips for services rendered. I found myself getting emotional and started tearing up. I began to pray, “Wow, God, I thought for sure this box would be the easiest to throw out…I’m the one who chose to leave…why is this so hard?” He was silent, and I just kept going through the box. Moving past some wedding cards and letters, I found a memento that I will always keep: a handkerchief that my mom had given me to use that day. I remember it had a small ring around it to “wear” on one of my fingers, and on the inside of my hand so I could pull it out to use when I needed it that day. Sadly, I probably should have kept it on my hand throughout our twenty-two month marriage. I also found a letter written to me by my ex-husband, about a week before I moved out in 2006. It was four pages long (on a narrow kitchen pad). His note mentioned how he couldn’t live without me, how his recent nights had been long because he had finally stayed home by himself and realized what it was like for me to be alone there without him. He said he decided to finally go to Christian counseling with me, that he didn’t want to lose me and that he would do anything to keep me. Reading it, I burst into tears. I can’t remember if I had ever read it. How did it end up in this box?? I crumpled. My shoulders shook. Tears fell over his capitalized handwriting and dried. I didn’t know what to feel, but I was bawling and tears wouldn’t stop! How dare he!! In the same box was a restraining order against me from two months after I had moved out from our home. One evening in January 2007, he had asked me to meet him at a bar to go over the separation papers. When I arrived there, another woman was there stroking his leg. So much for not being able to live without me. So much for doing anything to keep me. He and the blonde girl had left, and I stayed behind to drink away my sorrows. The bartender had heard our heated argument and was giving me shots to “calm me down”. WHAT!?! I ended up drinking very heavily that night, and blindly drove back to his house. I stood in the driveway, lost my temper with both of them, and shoved him against the brick house we had bought together. After I was asked to leave by the girl, I went home and slept it off. The next day I had received certified mail from an attorney. In all of the years I had put up with his verbal abuse and carelessness, I had never hurt him. The one day I got physical, I got papers. In a flash, I was reminded of all of the promises, the emptiness we said to each other daily with a peck on the cheek, the anger, heartache, loneliness and pain. I thought I had dealt with all of it, and seeing his desire to “keep me” in print was just another one of those promises that were never kept. I was so mad in that instant of reading this note- his last ditch effort. And it was then that God moved. He began to speak into my heart and I was softened. He reminded me that back in August of this year, He and I had gone through these moments and I had given that heartache to Him (see the post about Restlessness). He reminded me that I had forgiven my ex in my old apartment, and had actually prayed for the softening of his heart (and still do). God reminded me that I had prayed that C was treating his girlfriend with the respect he failed to show me, and that he was finding Christ somehow so that he could be the guy that God wants him to be. All of my anger dissipated, and I stood up from the crumpled mess I was just moments before. My tears of hurt and anger became tears of thankfulness. God had rescued me from all of that, and He saved me from mine and C’s sins on the cross. Who am I to get so angry over a few unkept promises when I do that to God daily? You have searched me, Lord. God has been checking out my basement. Not the one in my home, but my heart. He has been searching my heart and healing me. Remembering that, I felt comforted, and relaxed. I contemplated, only for a second, reaching out to C to let him know that I had found the note, but God squashed that idea, reminding me that we both have moved on, and C knows he is forgiven. I took the four-page note and dropped it into the black trash bag. I know that God searches our hearts and knows us so deeply. I am taking a Theology class this semester at Liberty University and am also in a bible study at my church for the following book . Both avenues have been revealing things to me about the character of God. I do know that GOD is found when we go through pain, when we are in the darkest places, and when we sometimes cry out to Him only after exhausting every other resource we can think of! He is in the basement with us, whether it be the physical place below our laundry room in our homes, or the basement of our hearts where there are painful memories. If we don’t experience pain or heartache, what is our need for Him? Think about it. If everything is going wonderfully and you have the “American Dream”, 2.5 kids, brand new car and money, WHEN do you need GOD? You don’t. Because we tend to think we’ve obtained all of that ourselves (one of Satan’s biggest lies by the way-but that’s another day, another blog post). Without some interruption, we may never seek Him. And our whole goal for being on this spinning orb is to seek Him and find Him…the Bible says we will accomplish this when we do it with our whole heart (Deut. 4:29). The only time I have ever sought Him so intensely was when my heart was all I had left. And I found Him. Six months after I left my ex, I cried out to God. I hadn’t been making the best choices and I was drinking so heavily I couldn’t keep my days straight. When I screamed to God for help, He answered me, and I surrendered. And when I sat crying in my basement, he answered me. That was two weeks ago. He has never left me. And as hard as it is to move forward sometimes, He gives us the strength and courage to do so. I still have some boxes to go through in the basement. My task is not finished. The one box that has ended up taking me the most time was the one that I thought I had already cleaned out. But thankfully there is no time limit on healing. In my actual basement, I threw away more than I thought I could, and with each flick of the wrist into the trash bag, I said a prayer of release. Sometimes we get so busy with life that we don’t make time to clean our basements, but there will come a time when doing it physically as well as emotionally will be beneficial for growth. As I said earlier, I have an ultimate purpose for my business in my basement, and I also know that God has a purpose for my heart too. Second Corinthians 13:5 reminds us to examine ourselves to see if we are in the faith. 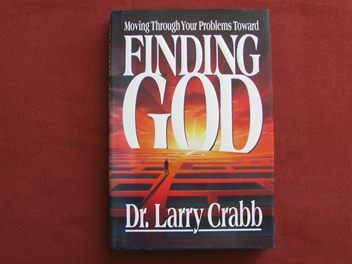 It is my firm belief that if we are focused on the past, that we are not allowing God to walk with us in the present. Much of what we hold onto needs to be surrendered, and He can take it away. And knowing that He is searching my heart means I have to release the baggage that I carry. Unrepentance, heartache, pain, anger, etc. That all has to be given to God to move forward. Until then, we are stuck in the basement. Indeed, His Grace is Sufficient and fulfilled in our weaknesses. Thank you for those inspiring Scriptures! More blessings in His name.